Leon Stapfer was a grandson of Philipp-Albert Stapfer, one of the educators of Adolphe Monod, and nephew (by marriage) of one of Adolphe’s sisters. He has also published a very interesting study on Adolphe Monod’s personality and preaching, which is all the more relevant as he actually had heard and seen Adolphe preaching. Leon Stapfer was born on April 30, 1844, in Paris. His parents were Albert (more precisely: Frederic Albert Alexandre) Stapfer (1802-1892), a lover of literature and translator of Goethe, and his wife Clary Louise Vincens. His grandfather was Philipp-Albert Stapfer (1766-1840), a former Minister of Sciences and Arts of the Helvetic Republic and subsequently plenipotentiary envoi of the Helvetic Republic to the French consulate in Paris, and also a close friend of the Monod family; he was one of the educators of young Adolphe . As a matter of fact, Leon was the cousin of two other famous members of the Stapfer family, i.e. Paul Stapfer  (1840-1917), an academic, writer and literary critic, author of a great number of works, among which a comparative study of Bossuet and Adolphe Monod (“La grande prédication chrétienne en France : Bossuet, Adolphe Monod”, 1898), and his brother, the theologian Edmond Stapfer (1844-1908), dean of the faculty of Protestant theology of Paris. Both are also grandsons of Philipp-Albert Stapfer, but sons of his eldest son, the engineer  Charles Stapfer (1799-1880), and Marie Monod (1809-1886), a younger sister of Adolphe Monod. To put it differently, Adolphe was a brother of Leon’s aunt Marie. Leon studied theology at the Faculty of Protestant theology in Montauban in the south of France. His bachelor thesis, which he defended in 1871, is entitled “Adolphe Monod : l’homme et le prédicateur : étude suivie d’un appendice sur ses opinions théologiques“ (Adolphe Monod: the man and the preacher – a study comprising an appendix on his theological views). He was ordained in the Temple de l’Oratoire in Paris on December 17, 1871, at the age of 27. The ordination sermon was given by pastor Guillaume Monod (1800-1896), a brother of Adolphe Monod and a close fried of Albert Stapfer. On January 7, 1873, Leon Stapfer was chosen by the Consistory of Orleans to be the pastor of the church in Josnes (Loir-et-Cher). He knew this place quite well, because his father Albert was the proprietor of the nearby Château de Talcy . The local Protestant community was quite significant at that time: there were about four hundred members, about eighty of which were living in the village itself . Stapfer’s election was confirmed by President of the French Republic in a decree dated February 3, 1873. His installation took place on March 30 of the same year. Stapfer was the pastor of the church of Josnes from 1873 to 1878. During his ministry, in 1876, he had a new rectory built; the construction was financed in part by Leon’s father. Later the rectory has become a private home. 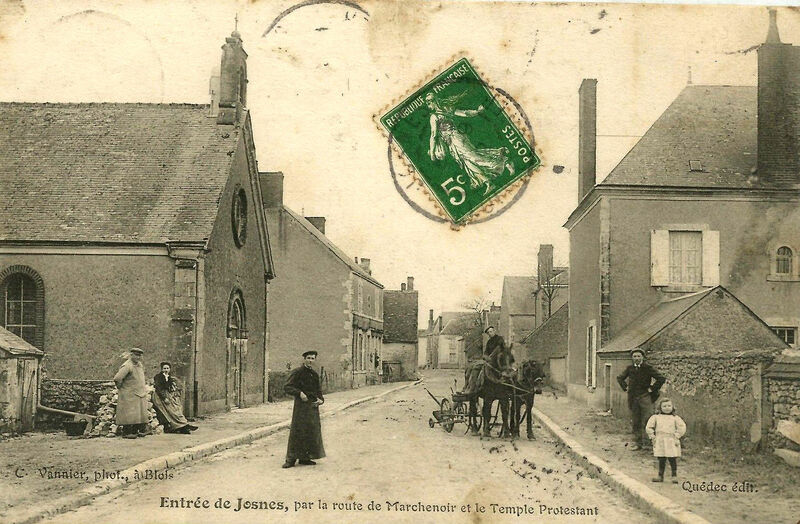 Leon Stapfer left Josnes in 1878 to become pastor of the church in Le Mans. He terminated his pastoral career in Blois in 1906. Stapfer died in October 1930 in Talcy at the age of 86. 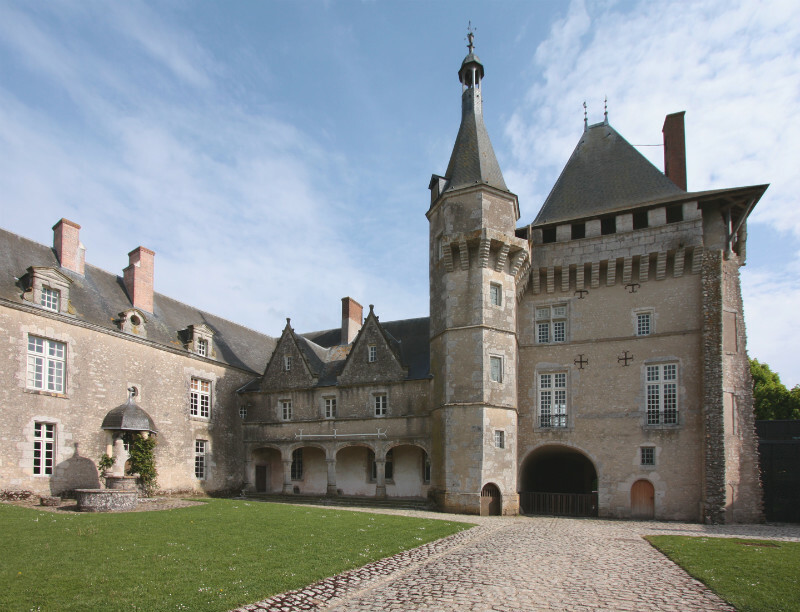 Two years later, the heirs of the last person living in the Château de Talcy, Valentine Stapfer – one of the two sisters of Leon – sold the château to the French state. a sermon entitled “Ephphatha” on Mc 7.31-37, given in Le Mans. I do not know whether Leon Stapfer was married, but as far as I know, he has not had any children. 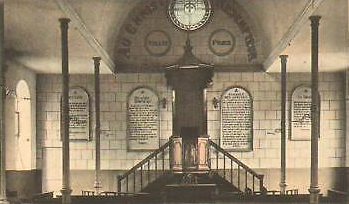 Main source: entry “Leon Stapfer” on http://base.huguenots-france.org. In one of his letters to Vinet, Adolphe calls him “my friend, my brother, my second father”. There is an interesting article on Paul Stapfer by Anne Simonin: “Esquisse d’une histoire de l’échec. L’histoire malheureuse Des réputations littéraires de Paul Stapfer”, Mil neuf cent, 1994, 12/1, p. 111-128. As a matter of fact, Charles Stapfer graduated from two of the most prestigious engineering colleges of France: Ecole polytechnique and Ecole des Ponts et Chaussées. The château had become a possession of Philipp-Albert Stapfer after his marriage with Marie Madeleine Pierrette Vincens, granddaughter of Elisabeth Gastebois, a banker’s widow. 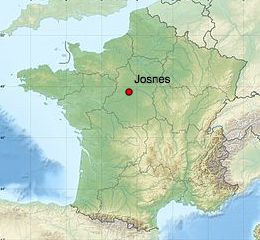 This piece of information, which I found on the website of the village of Josnes, must, however, be qualified, because in his article on Josnes, Stapfer himself writes: “… there are few Protestants in Josnes itself and … most members of the flock come from the hamlets around …”.